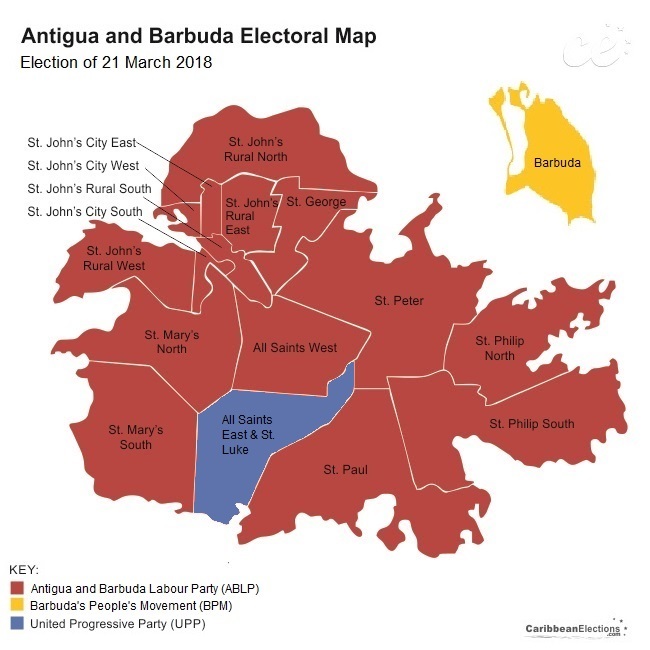 Antigua and Barbuda is divided into 17 electoral districts or constituencies. Here we provide electoral maps going back to the 1984 general election. Select a constituency from the menu on the right to learn more about the candidates and the constituency itself. Click on the candidate's photo or name to learn more about the candidate.